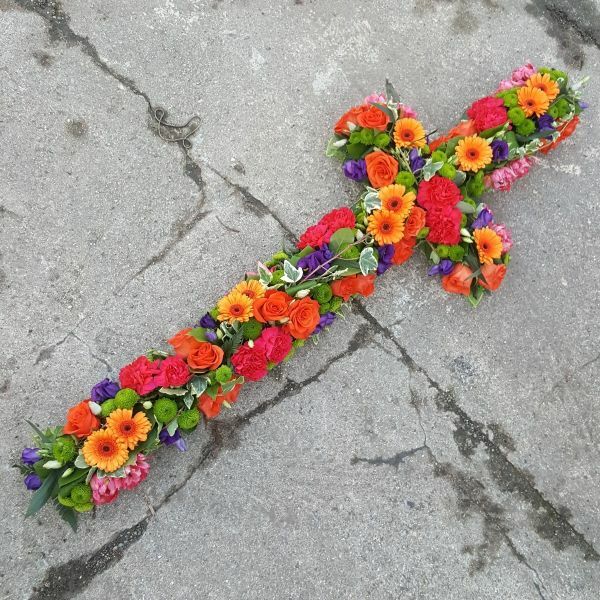 The Carnival Cross is made up of orange gerberas and roses, cerise carnations, purple lisianthus, green pom pom mini-chrysanthemums. A really striking tribute. Photo example shows 5 foot size.